Sharlene Matthew, Corporate Communications Administrator at APUA presents cheque to Service Projects Director Kirk Francis for sponsorship of Meals on Wheels Program for July 2017. One of our social outreach program is the ongoing “Meals on Wheels” which objective is to distribute in the community about 100 food bags containing dry goods on a monthly basis to the less fortunate persons as well as persons who have no financial means of taking care of themselves. This program has been in existence for over 20 years and is possible through the donations/assistance from the Public and Corporate Donors. 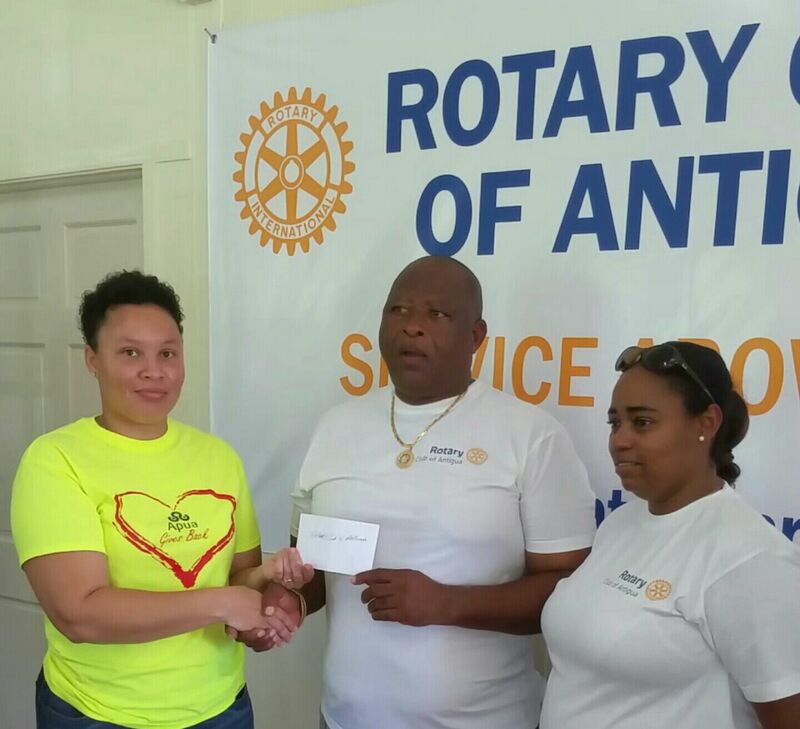 A big Thank You to APUA for enabling Rotary Club of Antigua to Make a Difference in someone's life this month.